The Leadership Assignment shows how educators can effectively change and renew schools aided by a key resource - people in the schools. This book is for educators who are immersed in leading and managing change and school renewal. It is action-driven with many tools and applications, but is based on solid research and theory from thinkers such as Kurt Lewin, Abraham Maslow, and Edgar Schein. 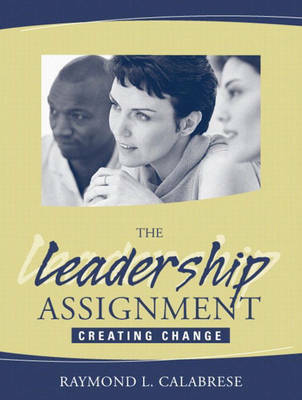 Eight change principles form the core chapters that will assist readers to create continuously renewing organizations. Throughout the book, case studies illustrate the change process and real life struggles leaders face as they work in educational organizations.